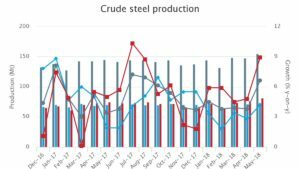 | World crude steel production for the 64 countries reporting to the World Steel Association (Worldsteel) was 151.7 million tonnes (Mt) in September 2018, a 4.4% increase compared to September 2017. 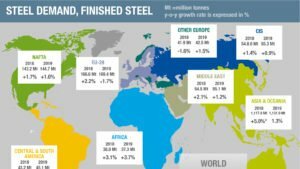 | The World Steel Association (worldsteel) projects global steel demand will reach 1,657.9 Mt in 2018, an increase of 3.9% over 2017. In 2019, it is forecast that global steel demand will grow by 1.4% to reach 1,681.2 Mt. 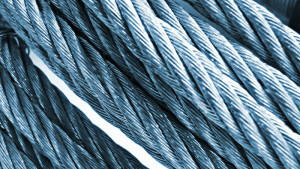 | The World Steel Association (Worldsteel) has launched the 2018 edition of Sustainable Steel – Indicators 2018 and industry initiatives. | Despite the Section 232 measures adopted by the Trump administration, US scrap markets still rely on exports. 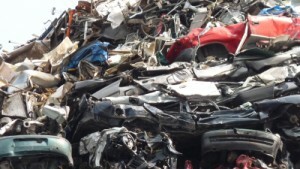 Indeed, Turkey’s reliance on US scrap imports has increased since the start of the current year, it was revealed by Fastmarkets metals analyst Lee Allen in his guest presentation to the latest meeting of the BIR Ferrous Division, held in London on October 6. | Rolf Willeke, Statistics Advisor of the BIR Ferrous Division, summarises below the main findings in his January-June 2018 update presentation. 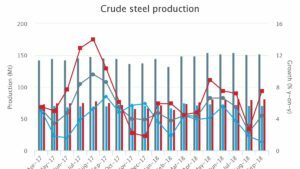 | World crude steel production for the 64 countries reporting to the World Steel Association (Worldsteel) was 154.6 million tonnes (Mt) in July 2018, a 5.8% increase compared to July 2017. 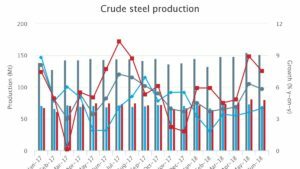 | World crude steel production for the 64 countries reporting to the World Steel Association (Worldsteel) was 151.4 million tonnes (Mt) in June 2018, a 5.8% increase compared to June 2017. 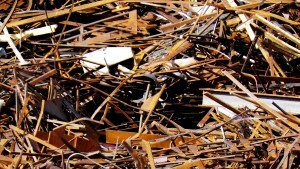 | Ben Weitsman of Albany, a division of the East Coast’s largest privately held scrap metal processor, has begun work on a multi-million-dollar project to add a 3,000 horsepower Riverside Engineering scrap metal shredder at the facility located at 300 Smith Boulevard in the Port of Albany. 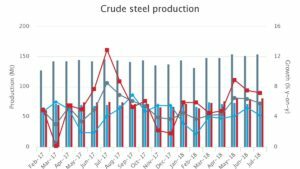 | World crude steel production for the 64 countries reporting to the World Steel Association (Worldsteel) was 154.9 million tonnes (Mt) in May 2018, a 6.6% increase compared to May 2017. | Eriez Magnetics Europe will be giving visitors an exclusive first look at one of their newly certified MetAlarm EX ATEX metal detectors at Hillhead 2018. 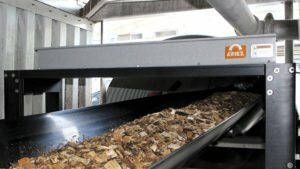 | It is estimated that, by the end of 2018, the number of shredders in China will have soared to around 200 from only 70 last year. According to the BIR Shredder Committee’s latest list, the global population of shredders is now thought to be 1048, including 322 in the USA and more than 300 in Europe. 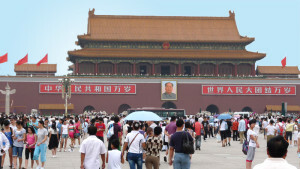 | The Chinese government’s decision to suspend the issuing of inspection certificates for the month up to June 4 will cost US exporters an estimated US$ 400 million as well as a further US$ 100 million associated with market value and shipment diversions to other destinations such as India and South Korea, the latest BIR Ferrous Division meeting was told by its Interim President Tom Bird of Chiho Environmental Group in China. | “I have been in the business for 50 years and have never seen circumstances facing the international recycling industry that compare to the issues and problems we face at the moment,” declared Michael Lion of China-based Everwell Resources Ltd in his role as Chairman of the BIR’s International Trade Council (ITC). 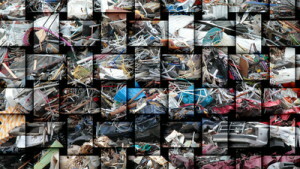 | The BIR Ferrous Division today announces during its meeting in Barcelona the publication of the 9th edition of “World Steel Recycling in Figures”.